On day four of his ascent, Steve Wampler hangs 45 feet from the wall. Steve Wampler is not about to miss out on life, in spite of the life he has been dealt. It has been five years since Wampler conquered climbing the face of Yosemite's El Capitan, inch by inch, one measly pull at a time. The six-day, five-night climb was unprecedented. Wampler, born with cerebral palsy, is confined to a wheelchair - and has the use of only one arm. 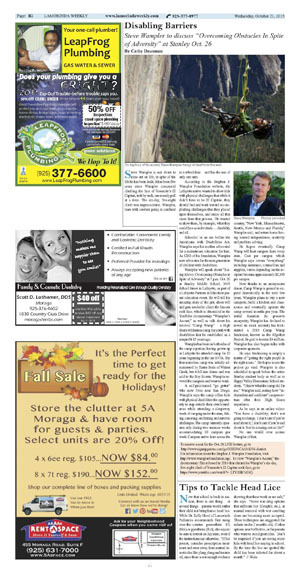 According to the Stephen J. Wampler Foundation website, the Lafayette native wanted to show kids with physical challenges that while it didn't have to be El Capitan, they should find and work toward accomplishing challenges that they placed upon themselves, and enjoy all that came from that process. He wanted to show them, by example, what they could face as individuals ... disability and all. Schooled in an era before the Americans with Disabilities Act, Wampler says his mother advocated for a mainstream education for him. 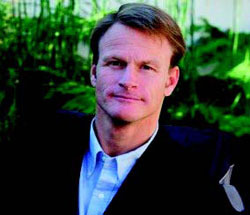 As CEO of his foundation, Wampler now advocates for the next generation of children with disabilities. Wampler will speak about "Rising Above: Overcoming Obstacles in Spite of Adversity" at 7 p.m. Oct. 26 at Stanley Middle School, 3455 School Street in Lafayette, as part of a Lafayette Partners in Education parent education event. He will tell his amazing story of the grit, sheer will and guts needed to climb the famous rock face, which is chronicled in the YouTube documentary "Wampler's Ascent," as well as talk about his beloved "Camp Wamp" - a High Sierra wilderness camp for youth with disabilities that he established as a nonprofit 12 years ago. Wampler has been on both sides of the camp equation; having grown up in Lafayette he attended camp for 10 years beginning in the late 1970s. The then-nameless camp was initially administered by Easter Seals of Walnut Creek, but it fell into disuse and was sold to the Boy Scouts. Wampler revived the campsite and went to work. A self-proclaimed "go getter" who now lives near San Diego, Wampler says the camp offers kids with physical disabilities the opportunity to step outside their own boundaries while attending a sleepaway week of camping under the stars, fishing, canoeing, and hiking and survival challenges. The camp currently operates only during two summer weeks accommodating 60 campers per week. Campers arrive from across the country, "New York, Massachusetts, Seattle, New Mexico and Florida," Wampler said, and return home having learned independence, creativity and problem solving. He hopes eventually Camp Wamp will host campers from every state. Cost per camper, which Wampler says covers "everything" including insurance, counsellors and supplies, varies depending on the recipient but runs approximately $2,300 per camper. Now thanks to an anonymous donor, Camp Wamp is poised to expand dramatically in the next few years. Wampler plans to buy a new campsite, build a kitchen and classrooms and eventually operate the camp several months per year. The initial donation (to preserve anonymity, Wampler has declined to reveal its exact amount) has kick-started a 2015 Camp Wamp fundraiser, known as the #2gether Project. Its goal is to raise $4 million. Wampler has also begun talks with corporate sponsors. He says fundraising is simply a matter of "getting the right people in the right room." He hopes to see the project go viral. Wampler is also scheduled to speak before the entire Stanley student body as well as to Happy Valley Elementary School students. "I know what the camp did for me," Wampler said, noting how "independent and confident" campers return after their High Sierra experience. As he says in an online video: "You have a disability; that's not going to change. I don't care if you're mad about it; I don't care if you're sad about it. You're missing out on life!" No one would ever accuse Wampler of that. For information about the Stephen J. Wampler Foundation, visit http://www.wamplerfoundation.org/. 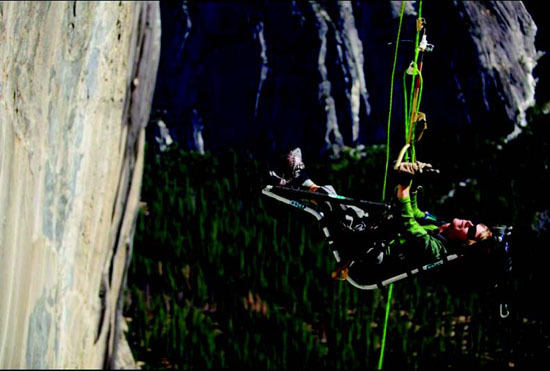 To view "Wampler's Ascent," the documentary film released in 2013 that chronicles Wampler's six-day, five-night climb of Yosemite's El Capitan rock face, go to https://www.youtube.com/watch?v=LTYdHk7cGiQ.